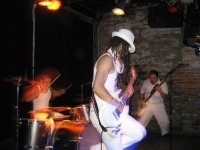 From rock bands to country bands to hip-hop bands, find all types of bands in New York, many of which are available for hire at your next event. Explore all types of talented NY bands that are available to perform in different parts of the state. We are your go-to guide to New York rock bands. Find out all you need to know about booking NY rock bands in NYC, Long Island, and other areas of the state.